Displays the names of the update components. Displays the sizes of the update components. Displays how much of the update component has already been downloaded. 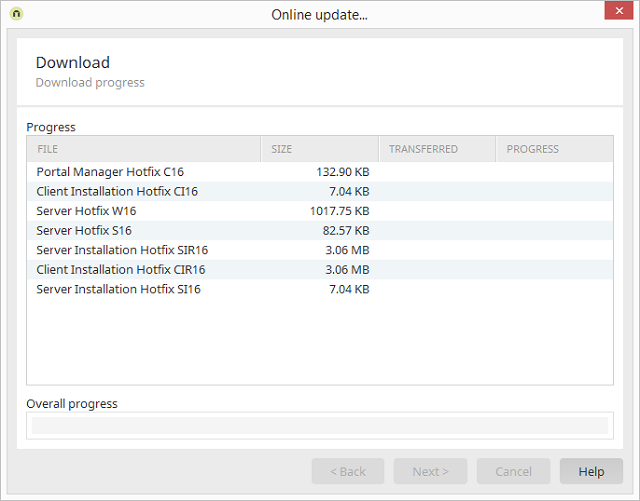 Displays the download progress as a percentage or displays OK if the update component has been downloaded in full.